I have started working with the Christian Formation Ministry for the central office of the Luthean Church here (IELCO). 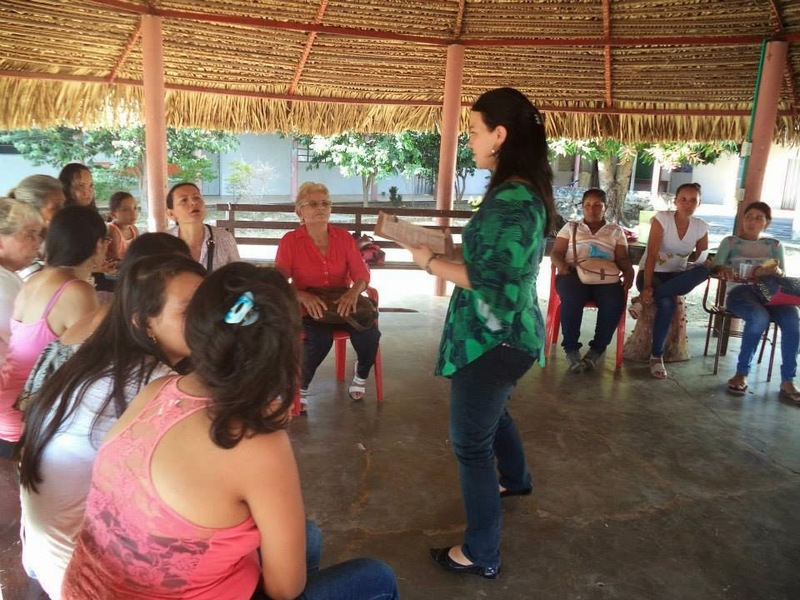 Our first project was to visit the four regions of Colombia where there are Lutheran Churches, and lead a training for the teachers of the churches and a women’s retreat. Needless to say, I have been traveling a lot! I spent the last three weekends getting to know other parts of Colombia, and other Lutheran Churches. I spent the first weekend in Bucaramanga (in the Eastern Region), the next weekend in Paz de Ariporo and Yopal (in the Llanos Regions), and last weekend in Tunja (in the Boyaca Region) this weekend will wrap up this round of trainings and will be in Bogota (in the Central Region, also where I live). The women's group in the Eastern Region. These trainings/retreats have been a great to meet so many people from all over the country, learn more about the contexts of the different churches, as well as learn what their passions for ministry are, and how they live those out. I have been accompanying Zulma for these retreats, and have really enjoyed working with her. We will continue to work together a lot this year in Christian Formation. In each region we have met with the teachers of the church. One of the goals for this year is to better equip the teachers in pedagogy as well as Bible literacy. We have set up a space through The Lutheran School of Theology to support the teachers through virtual education. This training has been an introduction to what virtual education is, how to use it, and the kinds of trainings it will provide. We have also lead women’s retreats focusing on the women of the Bible. Zulma has led discussions about the Woman at the Well, and I have led about Ester. We have been very intentional to make these dynamic, engaging and fun.